Today was the first day of spring and a beautiful one it was. We may wonder if spring is really coming with the wild transitional weather we’ve been experiencing but the chickens seem to know spring has arrived. Eggs have long been a sign of spring and renewal. It’s easy to see why as they are quite plentiful this time of year. Over the past month, we’ve gone from gathering a dozen eggs a day to nearly four dozen eggs a day. Spring has sprung. 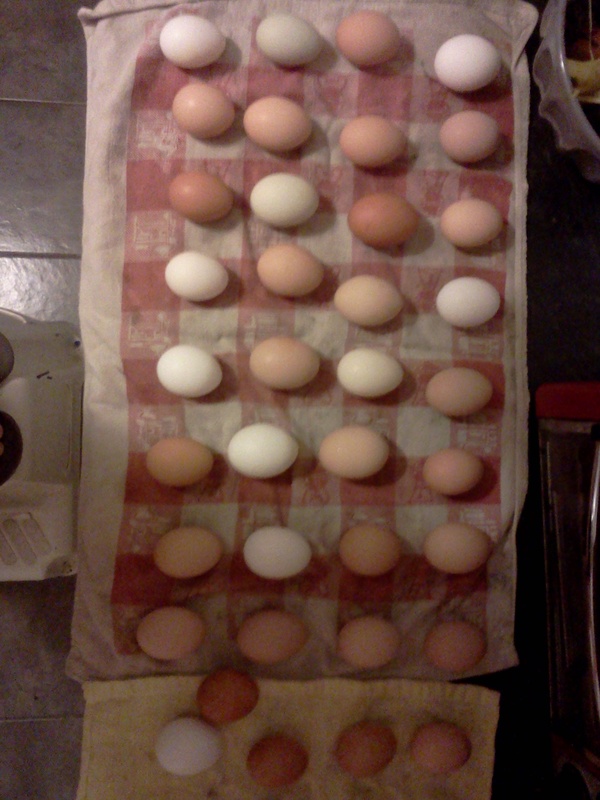 Visit us at the Farm to Fork Market at Normandy Farms on Saturday, March 22 and take a dozen eggs home with you. We will also have pastured pork and pastured chicken. Betsy’s Kitchen will be bringing Paleo Almond Delight Power Bars, granola bars, and granola.